The Consumer Electronics Show (CES) might boast the glitz of Las Vegas, but hardened gadget fans are coming to realise Mobile World Congress (MWC) is where the action really is. 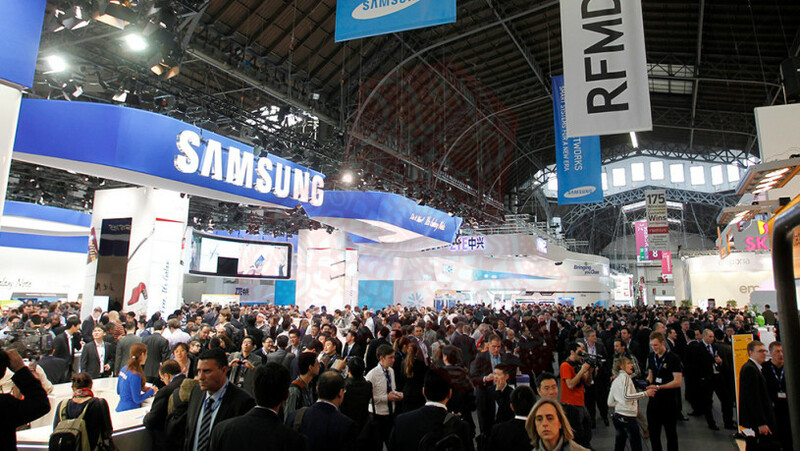 Running from March 2nd to March 5th in Barcelona, MWC deals with all things mobile: smartphones, tablets and, more recently, wearable technology. It’s the venue of choice for most of the big manufacturers to reveal their newest smartphones. And, given the location, it’s more relevant for European technology consumers than the new TVs and connected washing machines being shown off at USA-centric CES. Several invitations and various internet leaks have provided some hints about what’s in store. We’ve collected them all together to help give you an idea of what to expect at this year’s show. Samsung has its annual “Unpacked” event scheduled for March 1 and is widely believed to be revealing the Samsung Galaxy S6 smartphone. Alongside the new flagship, there are whisperings that Samsung could be launching an updated version of the Samsung Galaxy Note Edge called the Samsung Galaxy S Edge. Both phones will have cutting-edge specs and, if the rumours are to be believed, the S Edge may boast a curved screen on both sides of the main display. Samsung’s cryptic press invitation seems to hint at a curving design. Samsung often uses MWC to update its tablet line-up at the same time, so we could see a couple of new slates from the Korean tech giant as well. If Samsung is the Cristiano Ronaldo of Android smartphones then HTC is the Lionel Messi. The Taiwanese firm is also holding an event on March 1 and is expected to launch the HTC One M9. As in previous years, HTC has been hit with a slew of leaks so that we’ve got a pretty good idea of what the Taiwanese firm is going to show off at Barcelona. Alongside the new smartphone, there are persistent rumours HTC is going to reveal a smartwatch built in partnership with fitness powerhouse Under Armour. Although we previously believed that Sony would showcase the Sony Xperia Z4 at Mobile World Congress, that now seems unlikely. According to a post on the Sony-centric Xperia blog, the Japanese company isn’t holding a conference this year and will be hosting its own event later in 2015. Sony will still have a booth at the event to showcase its wares, including the Xperia Z2 tablet, new Walkman and the recently-revealed Sony Smartwatch 3. In a similar move to Sony it appears Samsung’s Korean rival has decided to shun an official press conference at MWC in favour of a solo event later this year. That means we likely won’t see an official LG G4 revealing at the show – although LG might drop a few interesting hints to take the wind out of rivals’ sails. However, MWC 2015 will give us a chance to get a good look at LG’s most recent smartwatch, the LG Watch Urbane, as well as its mid-range smartphone line-up that include four new models. The LG Magna, Spirit, Leon and Joy smartphones all run Google’s Android operating system and have similar specifications aimed at those on a budget. Microsoft will be taking over from Nokia at MWC this year and, as if to cement the transition, will be holding its own press conference on Monday, March 2. Rumours have suggested that Microsoft will have two new Lumia phones to show off at the event but neither will be taking over headline duties from last year’s Nokia Lumia 930. There’s plenty of speculation about another big-screen phone to take over from the Nokia Lumia 1020 but it’s more likely that Microsoft will concentrate on mid-tier phones to help grow the foundations for the Windows Phone operating system. The Chinese smartphone maker has confirmed it will be holding an event on March 1 to reveal some new devices – but that won’t include its next flagship. That’s because it’s already got an April 15 date tabled for the release of the Huawei Ascend P8. The internet rumour mill seems confident that Huawei could reveal a smartwatch running Google’s Android Wear platform. A mysterious poster proclaiming “next is here” is all we’ve got to go on – although there is a 4G LTE logo tucked into the top corner which suggests that if Huawei does reveal a smartwatch, it could operate without needing to connect to a smartphone.